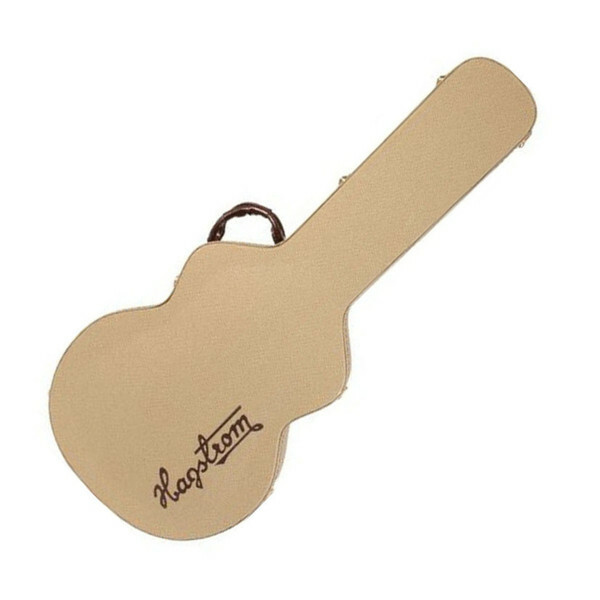 Hagstrom electric guitar case for Hagstrom Swede/Super Swede/Deluxe (Archtop) models. Rectangular flat cases for the F-series guitars also feature dark brown leatherette end caps with distinctive brown stitching. Special cases for the Swede, Deluxe, Viking, and Hseries hollow body models feature a rigid arch top and form fitting design. Picture is for illustration purposes only, actual colour and shape may vary. When removed, the neck support can be used for workbench adjustments, etc.